An ancient Buddhist sutra predicted that during the Dharma Vanishing Era, this world will experience drastic changes. The weather will become unpredictable and epidemics will be widespread. Diseases will become rampant and fatal illnesses will endanger the health conditions of all human beings. People will no longer be able to take control of their own state of health. To resolve this crisis, the exalted Holy Master Ziguang Shang Shi compassionately offers the One Day Zen of Guang Huan Mi Zong to all those in need, without distinction upon their nationality, race, gender, or age, at no cost. There is an unprecedented opportunity to solve the human health crisis in 2018. 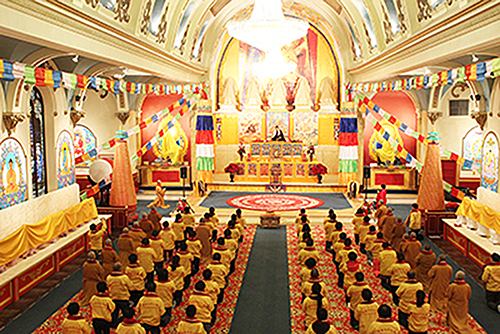 With the merciful guidance from the GHMZ Buddhist Instructors and Zen Teachers, millions of predestined people will have the chance to receive the teachings of Holy Master Ziguang Shang Shi, and achieve enlightenment. The unique Tri-Heart Dharma, imparted during the class, can effectively impose significant and positive effects upon different types of chronic diseases. Students who pass the verification will be granted with a certificate and be qualified to dedicate themselves to the great career path of resolving the human health crisis. 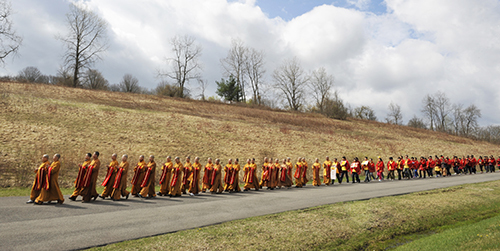 Note: Candidates must have completed the Level II Great Perfection Dharma. Students are responsible for their own lodging, meals, and travel expenses.